The Blood orange looks like the conventional orange on the outside, with a bright orange outer skin. 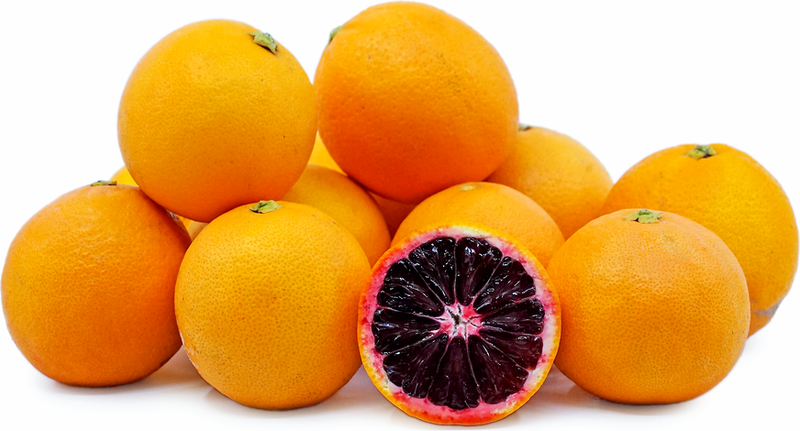 The inner flesh is where the Blood orange get its name, due to the deep red streaked pulp. The Blood orange offers a sweet aroma and flavor with moderate tart undertones. Blood oranges are available in the winter and throughout the early spring months.